Summer is so close and we are ready for it! Northeast Ohio has been giving us little tastes of warm weather. And by little, I mean a day here, a day there, and then a cold snap. The weather has never dictated grilling in our family. It's not hard to persuade the Husband to grill in a snow storm. Grilling, for him, is a labor of love. He gets up at the crack of dawn and finishes before it's time to eat. Not only do we get to enjoy the fruits of his labor, but his time, too! My job is refreshments and dessert. I also take on the shopping and Giant Eagle makes it easy. They have everything we need to make our summer grilling seem effortless. 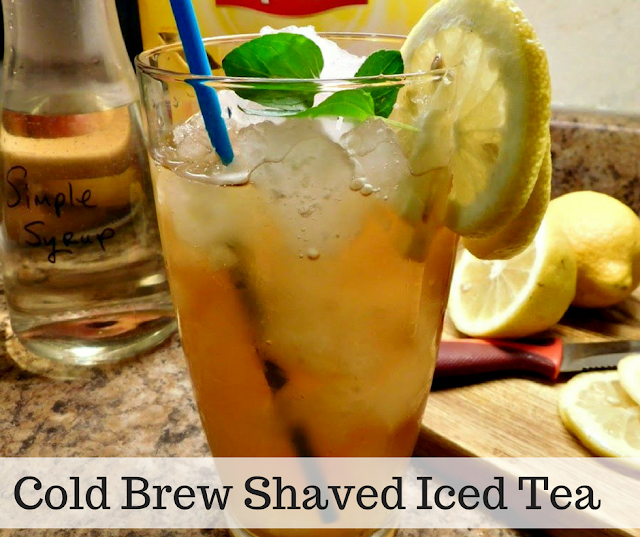 While I watch the Hubs grill Certified Angus Beef bacon and cheddar patties, I'm sipping on cold brew Lipton ice tea over shaved ice. And, my Farmhouse Dark Chocolate Chip and Breyers ice cream cookie sandwiches are chilling in the freezer. Now, while we both love iced tea we disagree drastically on how we like to drink it. He likes it sweet and I like lemon and mint in it. 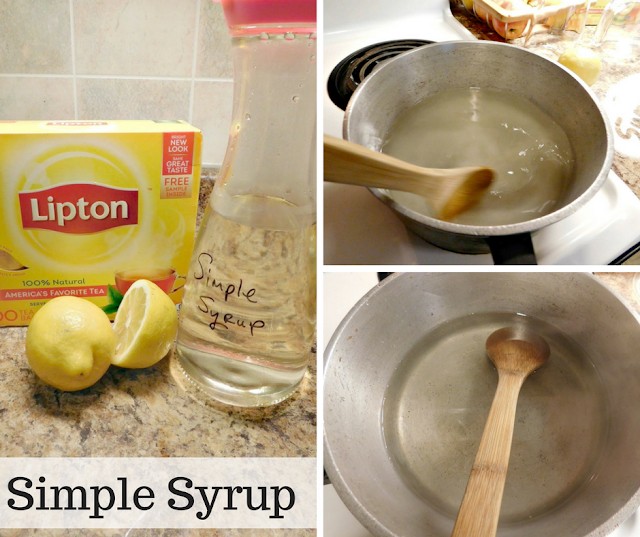 Instead of making two batches of tea, I just make simple syrup. I've recently discovered cold brew tea. I waited for the sun to shine to make sun tea, but the sun wasn't cooperating. Then it dawned on me! 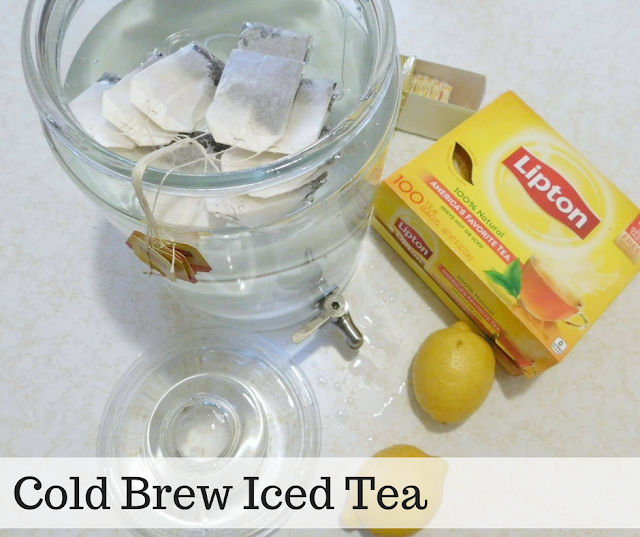 I make cold brew coffee, why not cold brew tea? The process is dummy proof. I've screwed up sun tea. I've also messed up iced tea made from boiling water because of letting it steep too long. Cold brew you can't screw up. Even if you made it too strong you just add more cold water. It's so smooth. No bitter taste or overly acidic. It's simply perfect. Shaved Ice - Crush it with your blender! Even though I don't like sweet tea, I do like feeling like I'm drinking a treat. So instead of adding sugar, I pour my tea over shaved ice that I make in my blender. It's so refreshing on a hot day, especially with fresh mint and lemon. Add cold brew tea and enjoy! My kids could care less about tea, sweet or otherwise. 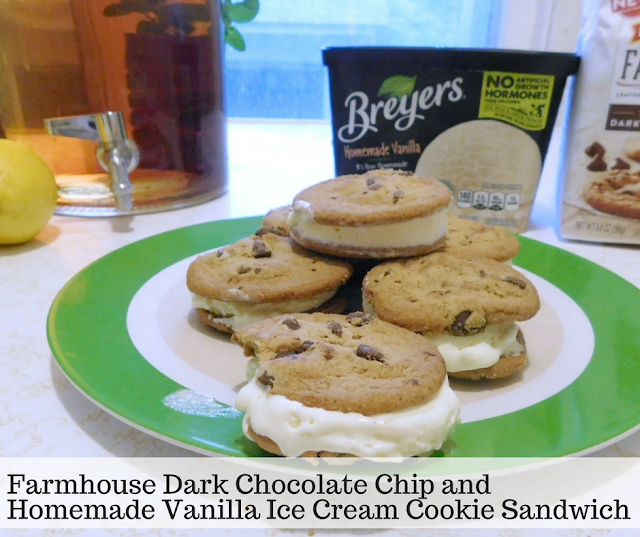 So, I made them ice cream cookie sandwiches with Pepperidge Farm Farmhouse Dark Chocolate Chip Cookie and Breyer's Homemade Vanilla Ice Cream. What is it about making ice cream sandwiches at home that's so much better than buying them? It's just a scoop of ice cream sandwiched between two cookies. My kids were impressed the first time I made them. Can't go back from that. I was also informed that these were the best ones, yet. My oldest told me that the ice cream made the cookie just soggy enough, but the cookie still had a crunch. I know what he'll be asking for again. 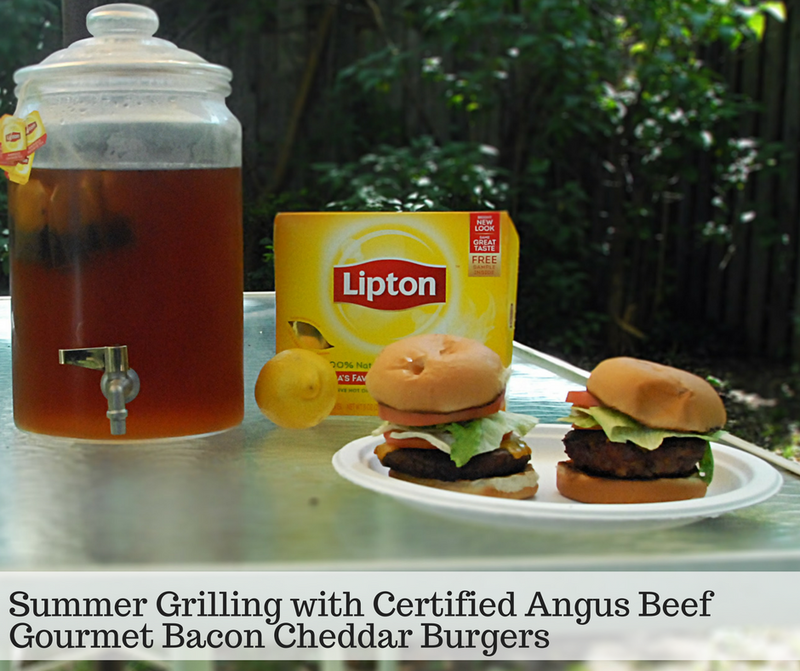 Giant Eagle makes a busy summer day easy with pre-made Certified Angus Beef Gourmet Bacon Cheddar Burgers. This my far is the simplest idea of all - head to the meat counter at your local Giant Eagle and pick as many patties as you need. No need to cut, chop, mix, or make into patties. Giant Eagle butchers got you covered by doing it for you. 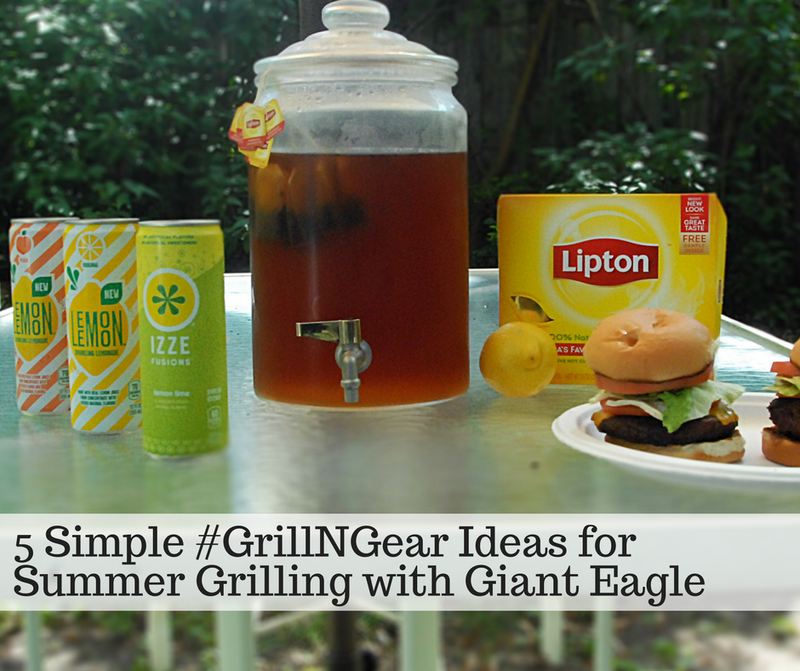 Just add charcoal to the grill and you are good to go. 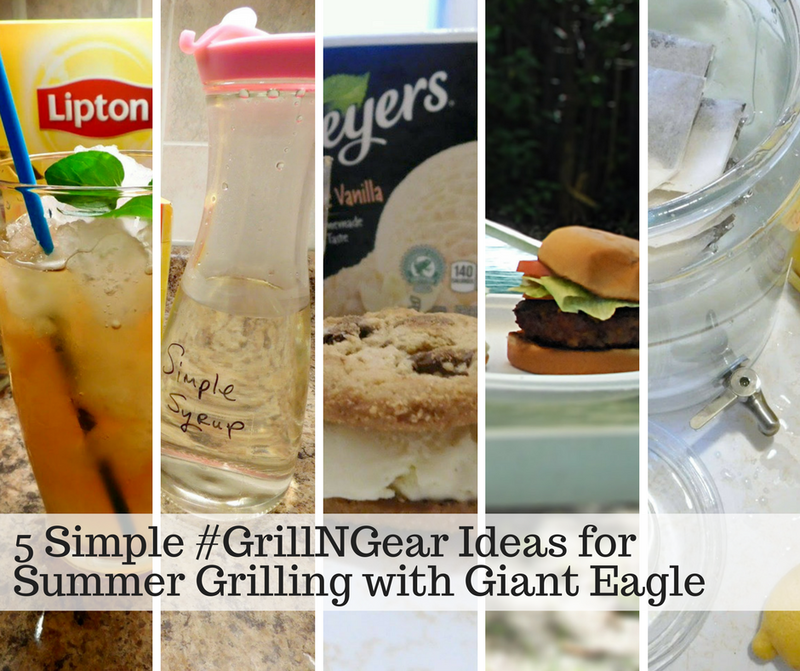 Check out Giant Eagle for some more great ideas and follow them on social media.